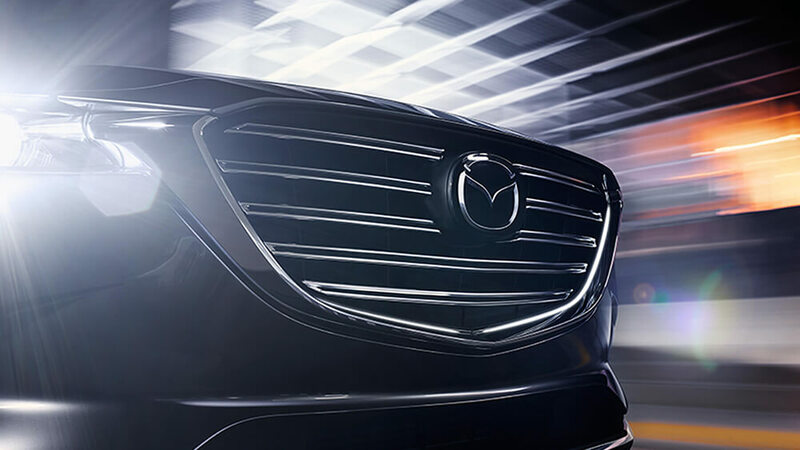 The 2016 Mazda CX-9 is a seven-passenger crossover that goes the distance – and does so in style! Carefully crafted according to Mazda’s KODO, or “Soul of Motion”, formula, the exterior features an extended hood, a relaxed roofline, and taut sculpting. 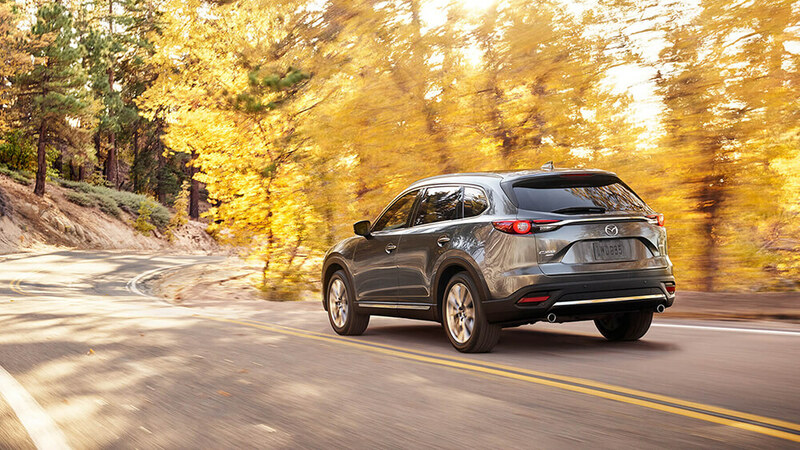 Enlivening colors, such as Sonic Silver and Soul Red, highlight the CX-9 SUV’s athletic performance, while a plethora of interior niceties create a warm, welcoming cabin. 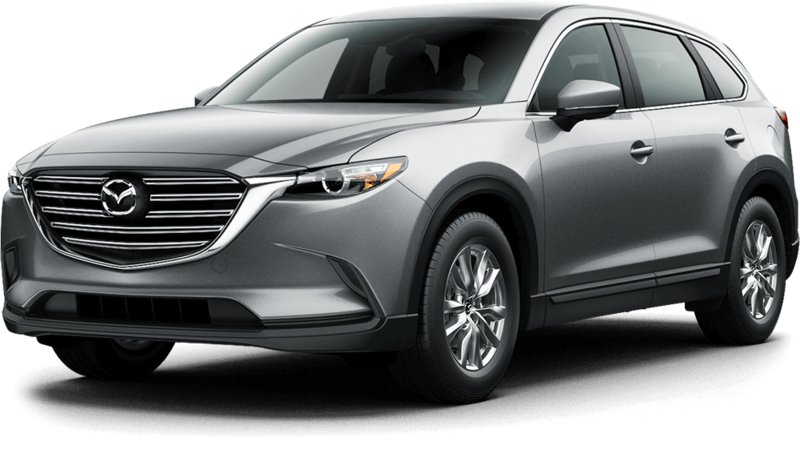 Fueled by Mazda’s renowned SKYACTIV® TECHNOLOGY, the 2016 CX-9 is as hard-working as it is appealing, offering noteworthy fuel-efficiency and a towing capacity of 3,500 pounds. 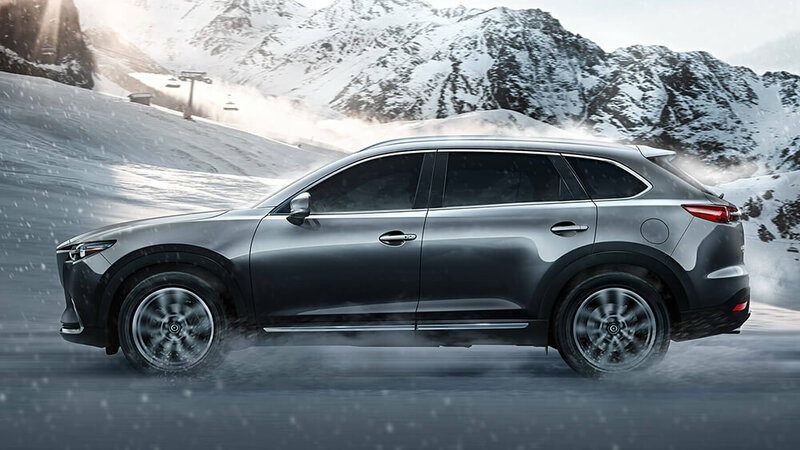 The detail-oriented nature of the 2016 CX-9 extends to its handling technology. One notable feature is available i-ACTIV AWD®. This highly intelligent system keeps tabs on a variety of internal and external driving factors, from braking patterns to outside weather conditions. When all-wheel drive is required, i-ACTIV AWD® springs into action by distributing engine torque to the wheels most in need of it, giving you a traction boost on risky driving surfaces. In fact, the i-ACTIV AWD® system is so sensitive, it can detect steering changes during coasting or sharp turns caused by a handful of loose rocks or excess water on the road. Perfect for a warm Orlando day, the three-zone automatic climate control system provides individual temperature settings for the front and rear cabin sections. For a charming touch, the Signature trim’s center console and other key areas are crafted with grainy rosewood, which offsets the dashboard’s cool-toned aluminum sculpting. Meanwhile, all but the Sport trim feature lavish Nappa leather seating for a cozy look and feel. 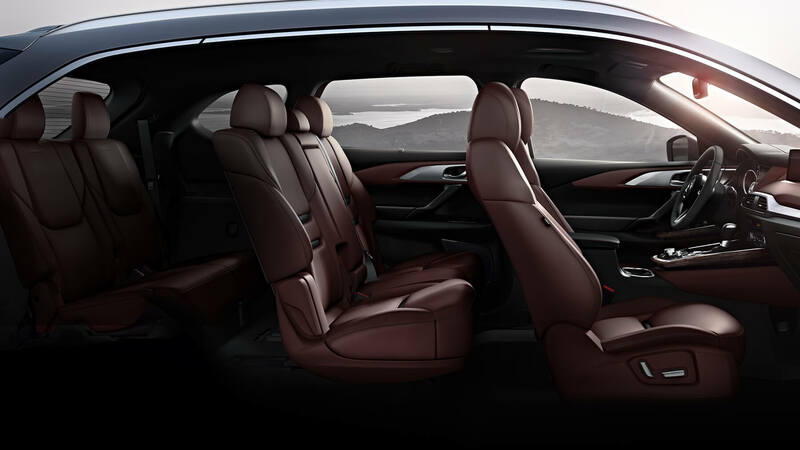 As a three-row SUV, the Mazda CX-9 seats up to seven passengers. The Sport comes with a 6-way manual driver’s seat, 60/40-split-folding second-row seats, and 50/50-split-folding third-row seats. 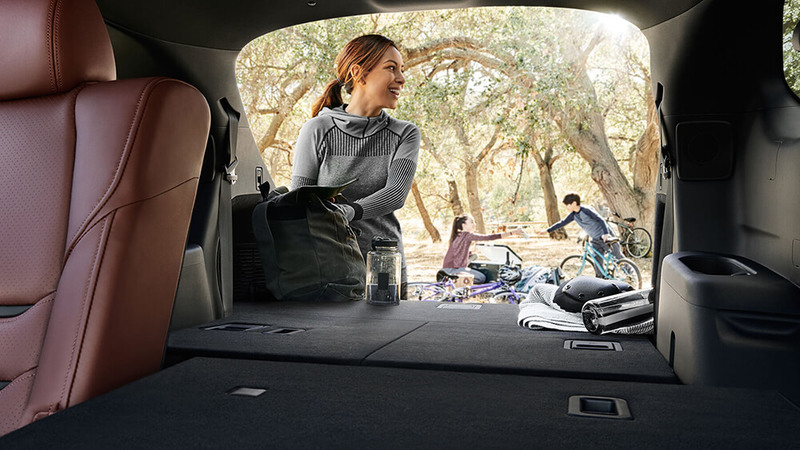 With all seats in place, the cargo area measures in at 14.4 cubic feet, while folding the second- and third-row seats down frees up a total of 71.2 cubic feet. The cargo area also includes an under-floor storage compartment for added privacy, as well as storage boxes for keeping your belongings secure. Whether you’re running errands around Clermont, or packing up for a family vacation, the CX-9 is a clever transporter. The CX-9 is Available Right Here in Clermont! If you’re shopping for an astoundingly efficient SUV with plenty of luxury features to go around, then the 2016 Mazda CX-9 should be on your shortlist! 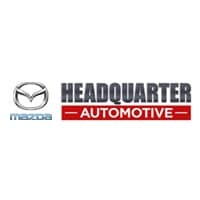 To schedule to a test drive, contact our sales team at Headquarter Mazda from 9 a.m. to 9 p.m. Monday through Saturday, or from 11 a.m. to 7 p.m. on Sunday. Our dealership can be found at 17500 State Road 50 in Clermont, FL – just 20 minutes west of Orlando, FL!